Easter is a wonderful time to celebrate the most astonishing, earth-shaking news that could ever be heard! But, over the centuries, even Easter’s events can seem pretty tame, ordinary. We know the story. 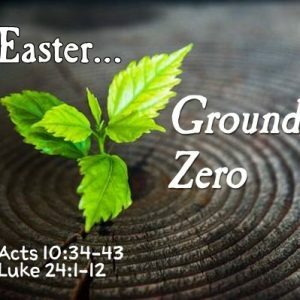 But we can re-experience the power of “He is risen!” Easter…Ground Zero! Feel the tremors of resurrection power. See new life emerge from the unlikeliest places. From the Tree of Life’s promise in the Garden, to the eternal life revealed when Jesus hung on a wooden cross, a different Tree of Life, hope is ours! Let God turn ordinary into the extraordinary as we enjoy special music, an energizing message, and a welcoming, joyful experience. Shake up your life listening, then applying this message to your life! 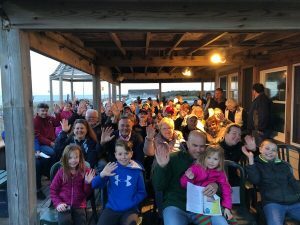 Easter is all about… right! Easter bunnies! No? Oh, sure. Easter is about chocolate and other candy! No? Oh, what is Easter about, then? Very good. Easter is all about Jesus. From the wood cross where he died so that you and all can live forever, Jesus was buried in a grave. But when they returned a few days later, the grave was empty! Where did he go? Jesus is risen, he is alive, though he died, he is alive now, for ever! Jesus is near by. With you every day. That’s what Easter is about. 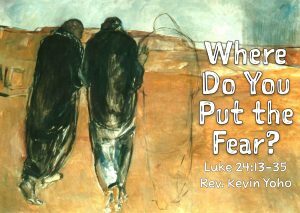 What did the Resurrection of Jesus Christ from the dead mean to two fearful disciples on the road to Emmaus? 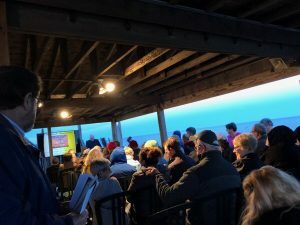 Find out at Sunset Beach when we gather at 6:15 AM for our third annual sunrise service on the deck at the Grill. Uplifting music, message, and great breakfast refreshments will help you start your day in joy! Jesus used foot washing to show several lessons: Hospitality and serving is a mission of Jesus’ followers. 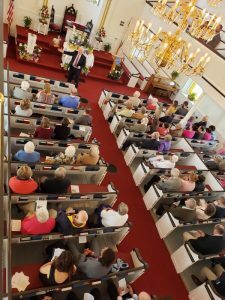 The faith community, the host: 1. must take care of their guests. 2. Always serve. Serve others in worship, teaching, dinners, teams, groups, and every interaction with the community. 3. When we serve, our feet will get dirty. The only way our feet will be dirty is if we go somewhere! So let’s get our feet, and our hands, dirty in serving our community generously! Then, we will look most like Jesus who came to seek and to save everyone who has lost their way. 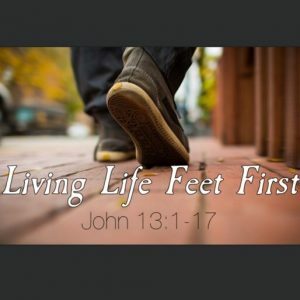 Where will your feet take you today in service to others?! “How beautiful are the feet of those who bring good news!” (Romans 10:15). Did you know stones could sing? Yes, they can! When Jesus entered Jerusalem, he was welcomed as King. 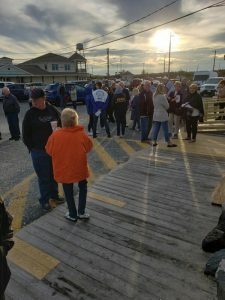 People were pretty excited, it was a red carpet experience that everyone celebrated. Well, almost everyone. A group of fake-religious leaders called Pharisees criticized Jesus and told him to stop the festivities! Imagine that. They wanted to stop the Jesus party. 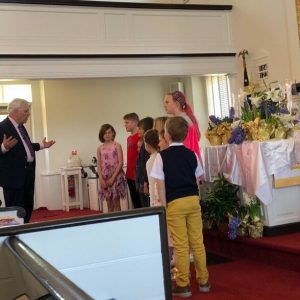 The children were singing, “Blessed is the one who comes in the name of the Lord!,” chanting this over, and over as God’s promises spoken long ago were being realized then and there. Jesus said, no way! Even if I told them to keep quiet, the stones themselves would start to sing! Yes, singing stones, because all creation, everything that God made, the universe and all that’s in it—including you!, are designed to enjoy God’s presence and sing God’s praises. Take a look in the special Holy Week burlap pouch… Look! Singing stones! 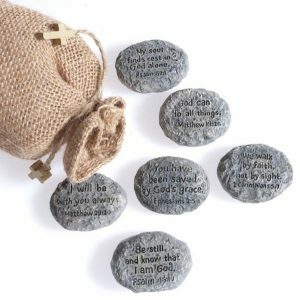 Stones with words of Scripture on them. Would you pick one and read it to us so we can hear the stones sing? Read more stones. Go ahead, and choose your favorite stone and keep it as a reminder that God loves you and shows his love through you. God will help you to sing through your life as you follow Jesus, just like these stones. Blessed in the one who comes in the name of the Lord! When is the last time you described something as extravagant? Maybe a lavish dinner out when the boss wanted to spare no expense celebrating a new venture. Or, when your extravagant gift conveyed lavish love and that delighted another. Extravagant is literally to go beyond the full measure of what is expected. 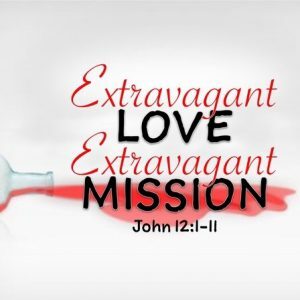 This week, our text from John 12 describes an expression of extravagant love that powers extravagant mission. We get a glimpse of true love in action when Jesus journeys to Bethany, his happy place at the home of his best friends, Lazarus, Martha, and Mary. And yes, that Lazarus! The one “whom Jesus had raised from the dead.” While Lazarus was indeed a unique host, it was the way Mary expressed her gratitude to Jesus that shocked all the guests and provoked Judas, (Yes, that Judas!) to condemn her gift as extravagant, too pricey, overboard, and scandalous. (He reasoned that the fragrant, extravagant gift could have been sold and the money given to the poor. While that’s not a bad idea, find out on Sunday what Jesus had to say as his feet were anointed, and how he responded to Judas, because, Extravagrant Love and Extravagant Mission are inextricably bound together!